Yaffé Photography is your first choice in portrait photography. 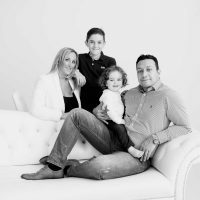 The Yaffé name has been famously creating portraits over three generations, renowned for designing and producing beautiful portraits for your home, along with world class customer service. It’s a magical experience that will leave you wanting more, whilst providing you with cherished memories to love and admire for many years. Our modern and luxurious studios are based in the beautiful and elegant Victorian seaside resort of Southport, nestled between Merseyside and Lancashire. 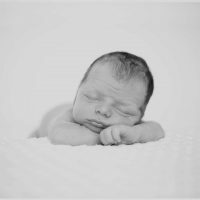 Yaffé photography specialise in creating beautiful portraits of families, children, newborns, couples, individuals and boudoir style photography as well. Take some time to peruse through our extensive online galleries of images and videos and start to plan your exciting adventure with us! "Having a Yaffé on your wall, is like having a pair of Jimmy Choo's in your wardrobe"
Absolutely amazing shoot today. Adam, you were absolutely spot on with the girls, they have never been so well behaved and I'm still in awe of how well you worked with the girls (age 2½ and 3) and they enjoyed every single minute of it. 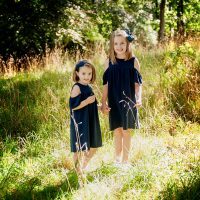 Would highly recommend Yaffe for anyone worrying that their child/children wouldn't sit still or be shy - my girls went in being very shy and come out little models in the making, thank you again for making us feel so welcome. This was my 2nd time at Yaffe and it certainly won't be my last. Such an amazing experience with a great service from start to finish. Adam was great with my little boy, he's 16 months and at a difficult age to try and keep still, however, Adam still managed to get the most amazing pictures. Sandra had me booked back in within a few days to preview my photo's in the cinema room, far too many too chose from! Good job you can purchase the downloadable link! Thanks again for the Yaffe experience, you are really the best!! Can't wait to pick up my portraits!! Adam was very friendly and professional putting us all at ease. We had such fun at the shoot you forgot you were having your photograph taken. Adam is extremely skilled and makes the whole experience really enjoyable. We viewed our photographs the next week and ......... WOW! the quality is just amazing and we are so pleased with our portraits. If you have thought about using Yaffe photography but have not taken the plunge yet, do not hesitate, it is a fabulous experience and the end result will be a lifelong treasure.